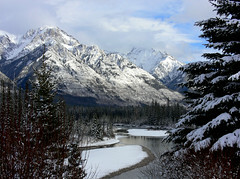 Wintertime in Banff National Park is more than just amazing skiing. Many are surprised at just how much there is to do in Banff during winter. This selection of videos taken by videographers and casual travelers shows the wonders that await in Banff National Park during winter. What could be better than an escape to Banff during the cold months of December, January, February, March and April? The answer: You’ll get off-season prices for hotels in Banff National Park during the winter months. So relax, grab a cup of tea, and watch these videos. You’ll see the many types of wintertime experiences Banff National Park offers. I hope you enjoyed this selection of videos. If so, please share this post!